Stadler Rail AG announced its intention to launch an initial public offering (IPO) and to list its shares on SIX Swiss Exchange. Peter Spuhler directly and indirectly holds 80% of the share capital of the company and the remainder is held by RAG Stiftung (10%) and key employees (10%). The IPO, which is expected to take place in the coming months, would consist entirely of secondary shares held directly and indirectly by Peter Spuhler. Post IPO, he will maintain his long-term commitment to Stadler as largest shareholder and will continue to act as Executive Chairman. In 2018, Stadler generated consolidated net revenues of CHF 2 billion (EUR 1.76 billion) with an EBIT margin of 7.5%, and its high-quality order backlog of CHF 13.2 billion (EUR 11.63 billion) as of 31 December 2018 is expected to drive net revenue to approximately CHF 4 billion (EUR 3.52 billion) by 2020. 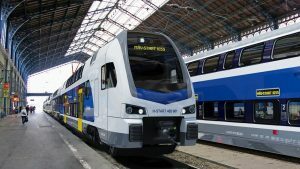 The Bussnang-based company has sold more than 8,000 trains and locomotives that operate in 41 countries, and more than 170 million km are covered by vehicles serviced by Stadler every year.